Bow ties and Crumpets – Thank you! Big Apple Tweed would like to offer a big thank you to all of the guests and sponsors of Bow ties and Crumpets. You all made the experience simply wonderful! Thank you for your marvelous gifts, the winners were delighted! Hats off to all of our winners! Congratulations to Stephanie Glenn for winning the beautiful Bobbin grand raffle prize! To make it even more special, her son Eric picked her winning ticket…how precious! 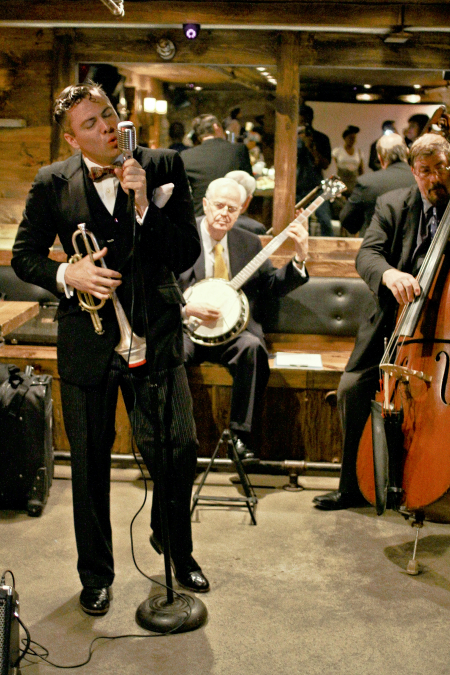 A special thank you to Dandy Wellington and His Band – welcome to Brooklyn! Stay tuned for photos. We look forward to hosting you during our fall ride! …rain looks good on you. It’s New York, rain looks good on you! Today’s weather calls for sun with a high of 79 degrees, and widely scattered showers…and to this we say, thank goodness Flatbush Farm’s got a roof, and a charming outdoor space to allow us rain watch and take lovely rain photos. After all, it’s New York and rain looks good on you! Bow ties & Crumpets, Just a few hours away! The Brunch of the Season!!! Hosted in the charming Flatbush Farm Restaurant, at 76 St Marks Ave, Brooklyn, NY 11217 on Sunday, June 30, 2013, Bow ties and Crumpets will begin from 12pm and end …at 5pm. The afternoon promises to be grand! – light British inspired treats; perfectly brewed Great Gatsby inspired cocktails (abated); crisp melodies care of Dandy Wellington and His Band, and fine photography. In a nod to one of the most notable spring fashion trends, be appropriately clad in your plaid and stripes best! Accent fabrics like linen, cotton, lace and seersucker will also do. Our most distinguished guests will be rewarded – A gleaming new bike for the grand raffle drawing; bespoke hats made to fit, care of Goorin Bros; delightful pocket squares and bow ties from Fine and Dandy shop, and much, much more! Proceeds from our grand raffle drawing will benefit the children in Moore, Oklahoma. Sam Polcer + Bow ties & Crumpets + You = Wonderful! Here’s another reason to spend Sunday brunch on 6/30 with us! Sam Polcer, the editor, writer and photographer behind Preferred Mode, is collecting images of stylish New York cyclists for Prestel Publishing (the same company that published Cycle Style featuring London cyclists) and will be at Flatbush Farm to take photos of the most stylish attendees, with their steeds. If you want to be included, consider riding your fine companion to the event and looking your best. Below see links to the photographer’s work and the fancy articles written about him. ~The Simpsons. Homer’s reply to Marge, who said: “What’s Brunch?” Episode: “Jacques to be Wild” Written by John Swartzwelder. Bow ties and Crumpets! How far will you go…?! A Plaid and Stripes Affaire. Bow ties & Crumpets! Tally ho! 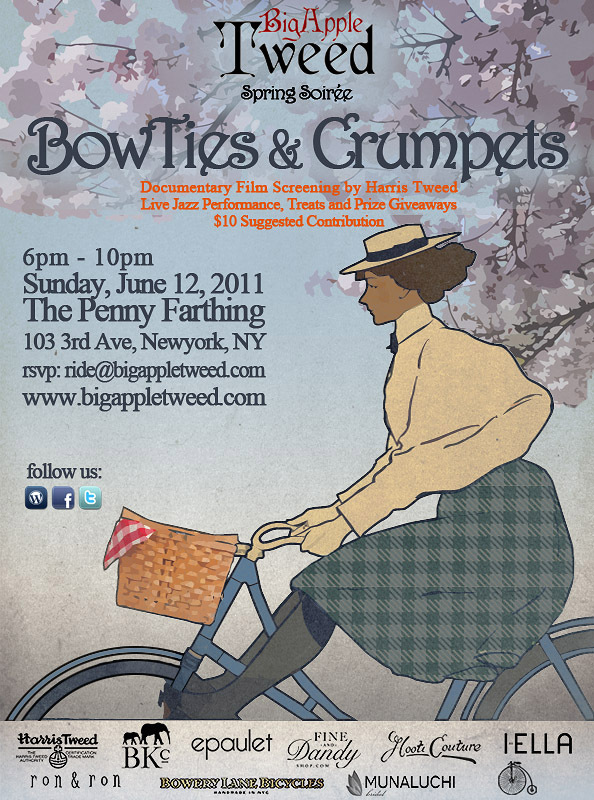 We humbly request your presence for Bow ties and Crumpets, the Big Apple Tweed spring soiree. Hosted in the charming Flatbush Farm Restaurant, at 76 St Marks Ave, Brooklyn, NY 11217 on Sunday, June 30, 2013, we will begin the festivities from 12pm and will ring the curtain down at 5pm. The afternoon will begin with guests being offered light British inspired treats, as they exchange pleasantries, and sip on perfectly brewed Great Gatsby inspired cocktails. The room will be filled with crisp melodies care of Dandy Wellington and His Band, as he makes his debut into Brooklyn. 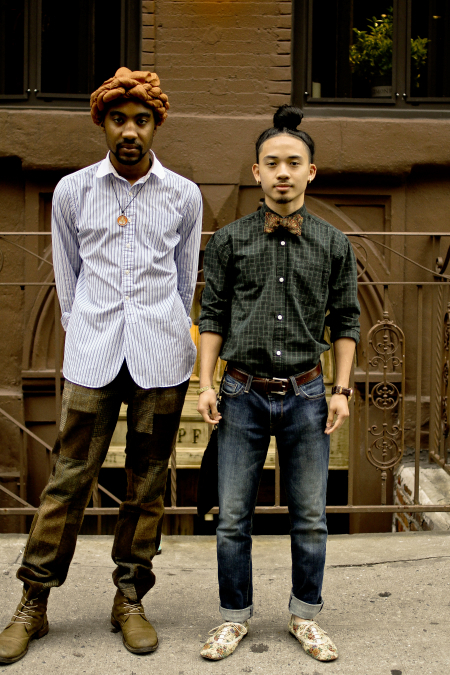 Your very handsome fashion finds will also be documented with fine photography. As always, be appropriately clothed in your spring’s very best! This season’s gear is specifically themed plaid and stripes. Tweed accent fabrics like linen, cotton, lace and seersucker, will also work very well. Please make a note that your tweed garments and fine steeds are not going to be showcased at this event, but make sure they are groomed and ready for our much anticipated fall ride. As always, in true BAT fashion, our most distinguished guests will be rewarded. To continue our work with highlighting the plight of children in need, proceeds from our grand raffle drawing will benefit Feed the Children to provide food, water, blankets and other supplies to the children that were affected by the devastating tornadoes in Moore, Oklahoma. And again we say Excelsior……………………………..! And it’s here…! Do share! 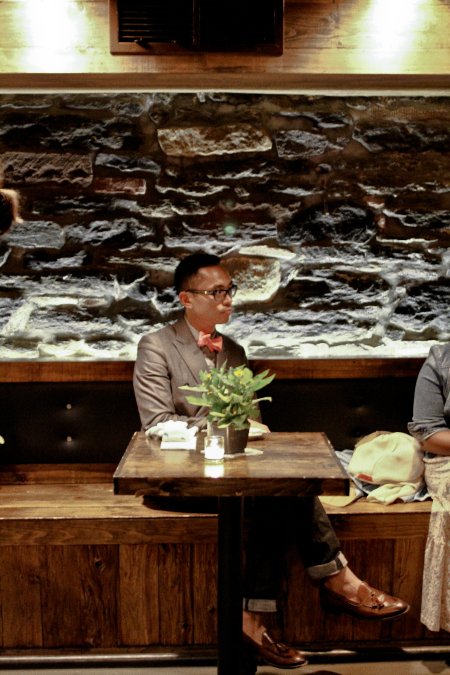 It was a pleasure hosting you at Bowties and Crumpets, the Big Apple Tweed Spring social event. As expected, it was as lovely an evening as could be. Special thanks to Michael Arenella & Dreamland Orchestra for the heart warming melodies, and to the Myers of Keswick for baking those very scrumptious pies. Hats off to all of our winners! Below find images of our most distinguished guests. We simply can’t wait to host you again during our annual Fall ride. A tip of the hat in greeting will add a nice finishing touch to this look. With warmer days and cooler nights, Spring is the season for schmoozing in style and grandeur. Above, find the perfect pieces to inspire you to grace us with your presence this Sunday at The PennyFarthing, while looking very distinguished….. In celebration of achievements past, present and future, we humbly request your presence for Bow Ties and Crumpets, The Big Apple Tweed Spring social event. Hosted in an intimate space at the ThePennyFarthing, 103 3rd Ave, New York, NY on Sunday, June 12, 2011, we will begin making merry from 6pm and will bid all farewell at 10pm. At 7:30pm in the early evening, Harris Tweed will honor us by presenting a 20 minute screening of “From the Land Comes the Cloth” – a tale of how love is spun into thread by the islanders of Lewis, Harris, Uist and Barraa, to create the cloth that is certified with the Harris Tweed orb. A live Jazz performance will then commence as we hobnob with friends old and new. As always, be appropriately clothed in your Spring’s very best! This season’s gear includes Tweed accent fabrics: linen, cotton, and seersucker, to name a few. Although your Tweed garments and fine steeds are not going to be showcased at this event, please make sure they are groomed and ready for our much anticipated Fall ride. And with that we say Excelsior……………………………..! To RSVP email ride@bigappletweed.com with “RSVP” in the subject line. Space is limited, so RSVP no later than 5 P.M. on June 10, 2011. The Big Apple Tweed would like to offer a heartfelt thank you to all of the participants and sponsors of the Big Apple Tweed Fall Ride! 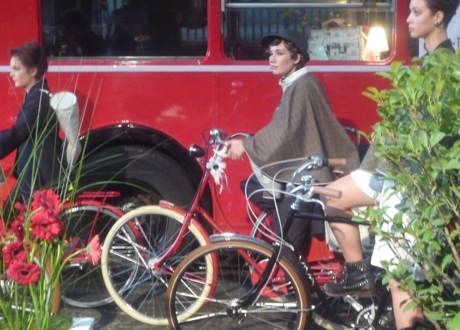 The ride was well attended with enthusiastic participants all clad in their most ravishing, breath-taking and well-tailored tweed inspired wear. Most importantly, thank you to all of the participants for their generous contributions to Virginia’s House of Hope! Your donations will go towards ensuring that children and families in New York City continue to gain access to basic necessities such as food, clothing and social services. A great big hurray! and hats off to all of our winners! Last but not least, a special thank you to the Scandinavian 1/2 Breeds who helped set a most enchanting mood for the after-ride tea party. Below are a few of our favorite photos from the day. We’ll be posting additional photos soon. In the meantime, follow us on twitter at @bigappletweed and on facebook (BigApple Tweed). We look forward to seeing you at the next Big Apple Tweed event! 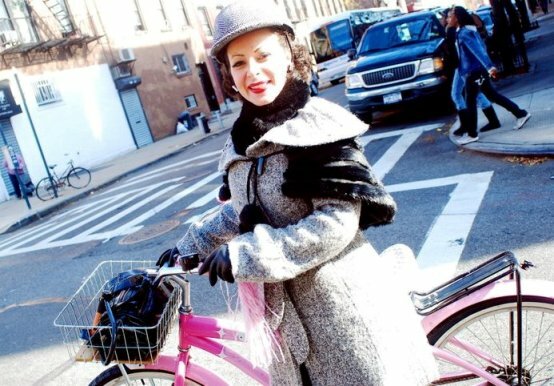 Big Apple Tweed Fall Ride Registration Now Open! Big Apple Tweed Fall Ride Route! The Big Apple Tweed Fall Ride participants will gather at 11:00am at the Monument at Grand Army Plaza for on-site registration and distribution of ride wrist bands. On-site bicycle repairs will also be offered pre-ride. The ride will commence by/before noon and end at Flatbush Farm where a post-ride tea social will be held with live music by the Scandinavian Half Breeds. There will be a mid-point stop at The Brooklyn Circus where those donating to Virginia’s House of Hope will receive a custom made Big Apple Tweed Fall Ride button. 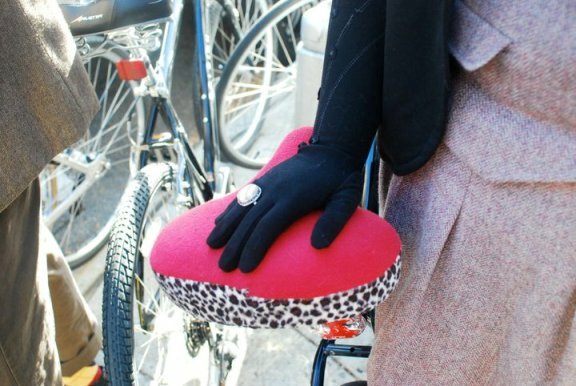 The Brooklyn Circus will also have specially discounted tweed items for sale to Riders who wish to add that final touch to their Ride outfits and for the Fall days to follow. The stop at the BKC will also include photo sessions and bicycle repairs. We’re excited about Sunday’s ride and can’t wait to see all of you on your magnificent steeds! 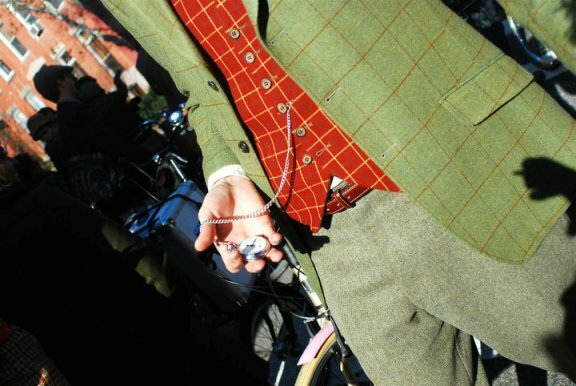 With the Big Apple Tweed Fall Ride just around the corner, you may still be pondering what manner of tweed or tweed-inspired outfit to don for the magnificent day. Well, ponder no more! The great news is that the Fall season is perfect for Tweed Ride fashion as cooler temperatures call for layering and heavier fabrics such as actual tweed or tweed patterns. For starters, we recommend building your outfit around one basic tweed or tweed-ish item such as a skirt, jacket or a pair of pants. You can then build on any of these items by adding a tailored shirt, feminine top, vest, jacket or cardigan. 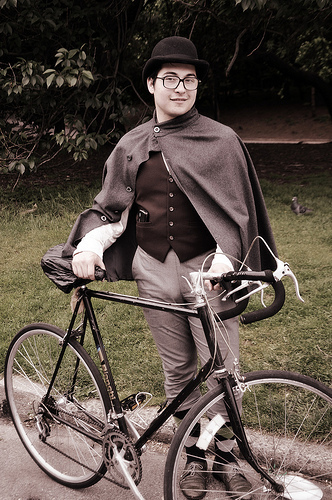 For us, the best part of dressing up for Tweed Rides are the accessories. This is where your own personal touch really gets to shine through. 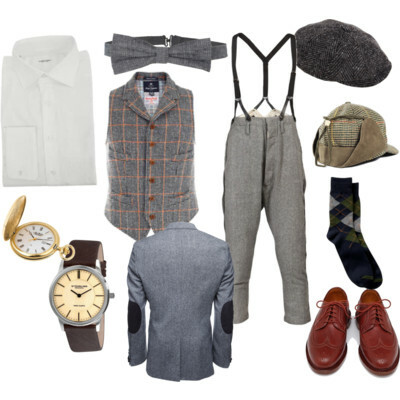 Add a colorful hat, brooch, feather, gloves, a floral pin, patterned socks/tights, a pocket watch or a fur or faux fur stole and you’re all of a sudden transported back to a bygone era full of charm and grace. 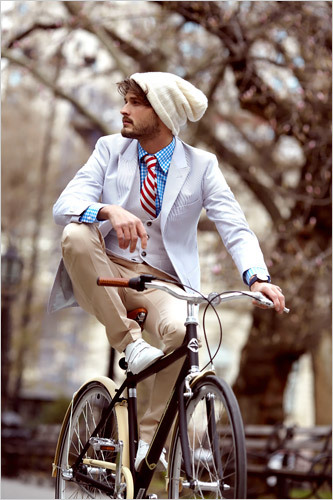 Below are a few of our favorite Tweed ride worthy ensembles to inspire you for the upcoming ride. Remember, many of these items can be found at your local thrift or vintage shop or right in your closet! Save the Date: The Big Apple Tweed Fall Ride Fast Approaches! Brush off your tweeds and ready your steeds! 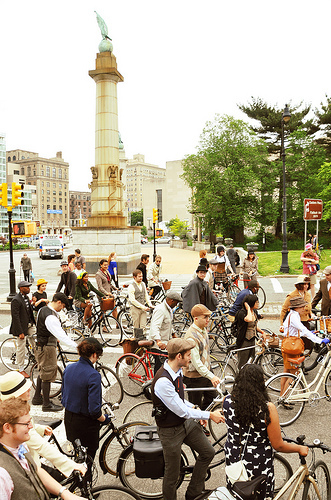 The Big Apple Tweed Fall Ride sets off on November 21st! The BigAppleTweed would like to offer a sincere thank you to all of the participants of the first BigAppleTweed Ride. Your support of the Ride on May 23 helped make the event a smashing success and for this, we’re thankful. Thanks to the kind contributions of our many sponsors and enthusiastic participation of the beautifully outfitted riders, the event turned out to be quite an enjoyable and intimate affair. Most importantly, we’re thankful for all the donations raised for Virginia’s House of Hope. The monies raised will most certainly be put to good use and benefit disadvantaged families living in New York. While all awards were given to the respective recipients, we’re still on the lookout for a our “Most Distinguished Chap” winner who we can only think to call “The Caped Crusader”. If you’re him or know of him, please contact us at bigappletweed@gmail.com. We have a most wonderful gift for him! Last, but definitely not least, we’d also like to offer a special thanks to Brooklyn Bike and Board (560 Vanderbilt Avenue — http://brooklynbikeandboard.com/). Much thanks to Peter (our on-site repair man and music man) and Billy (our ride route specialist). Pictures of the event are now up on Flickr (http://www.flickr.com/groups/bigappletweed/). We’ll be adding photos over the next few days for your viewing pleasure. In the meantime, please free to add photos you may have from the ride into the group pool. Again, thank you for your support of the BigAppleTweed Ride. We look forward to seeing you in the Fall! A Bit of Rain? Keep Calm. Ride On. A passing shower is in the forecast for early Sunday morning but in true English fashion, we plan to keep calm and ride on! Add rain friendly pieces to your outfit — a vintage raincoat or umbrella should do the trick. We’ll be awaiting your arrival at the Monument throughout the morning. Should you miss the ride itself….then do join us at Kif around the hour of 12 o’clock for post-ride revelry with spirits and good cheer all around. Photographers will be on hand to capture you in all of your finery. Email bigappletweed@gmail.com if you would like to volunteer or should you have any additional queries. Brilliant News! BigAppleTweed Registration Now Open! Brilliant News Wheelmen & Wheelwomen! Registration for the BigAppleTweed Ride is Now Open! Please visit www.virginiashouseofhope.org to register and be a part of what promises to be an absolutely marvelous and stylish jaunt around the grand borough of Brooklyn. 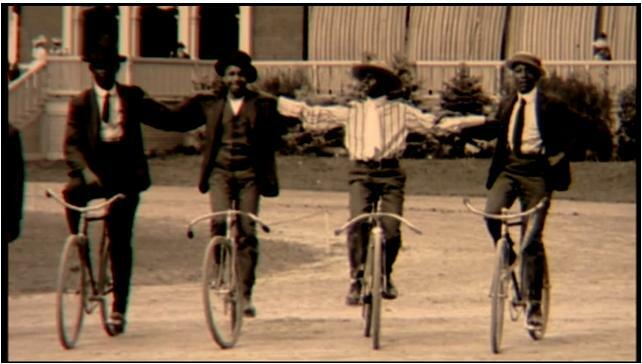 Following the ride, Kif Restaurant (www.kifbrooklyn.com) will host the merrymaking and hobnobbery for registered riders. Spirits, eats and music will be plentiful and a rousing good time will be had by all! Registration for the Ride is free but we encourage participants to make a suggested donation of $20 (although any amount would be much appreciated) to Virginia’s House of Hope. Virginia’s House of Hope’s mission is to “improve the quality of life for all New Yorkers by helping homeless and otherwise disadvantaged families throughout the five boroughs of New York City – in cooperation with the local public school system – gain access to food, clothing and other basic necessities.” Visit http://virginiashouseofhope.org/aboutus.html for more information. Finally, should a cloud of rain threaten to pay a passing visit or our tweeds need last minute tailoring….do not fret, the ride will go on! Follow us on twitter: www.twitter.com/bigappletweed and facebook: http://www.facebook.com/group.php?gid=177883016698 for last minute updates and/or information. Tally ho and away we go! 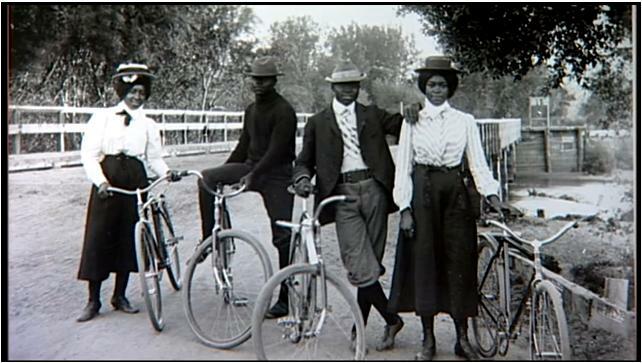 In this picture from the 1890s you can see three different formats of bicycle being used at the same time. On the left is a safety bicycle with chain drive, but solid tyres, in the centre is a lever drive bike, allowing the rider to sit further back and lower. On the right is an “Ordinary” bicycle with pedals directly driving the front wheel. We absolutely adore this photo of Eartha Kitt. Build A Bike: Republic Bike! Republic Bike assembles custom bicycles based on shared design. Designs are developed and components are offered and curated for quality, value and aesthetics. Pick, choose, swap and decide and they”ll build it, box it, and ship it out. Dream it and Republic Bikes will build it! Oh, the possibilities! 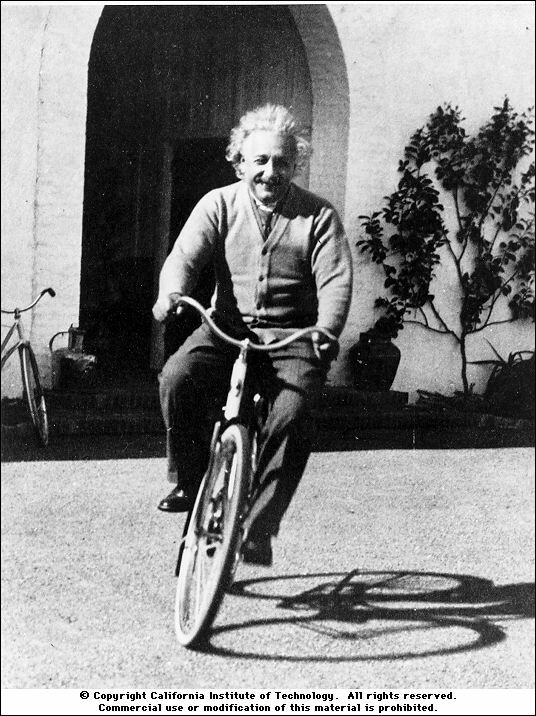 Today the bicycle is mainly known as a recreational vehicle and is enjoyed by people in every corner of the world. But at its outset, this controversial machine forged roads into society that revolutionized politics, fashion, and social policy as well as paved the way for the mechanized world of motion to come. Victorian Cycles, Wheels of Change is a fascinating documentary about the bicycle’s coming of age and its tremendous impact on society. It is filled with images of a by-gone era, and the people who embraced its change. Polish up your steeds! May is Bike Month in NYC! We had the great pleasure of meeting the lovely ladies at Malin Landaeus Select Vintage Collections last weekend. 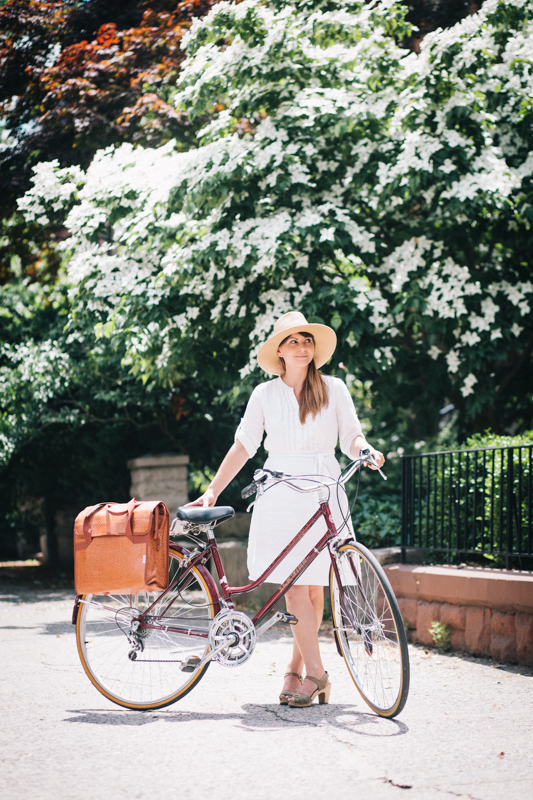 Malin Landaeus’s shop is a veritable treasure trove of the most beautiful vintage attire — just perfect for a stylish spring bicylce ride! The quaint shop is located off Bedford Avenue in Williamsburg. If you’re a sucker for beautiful finds, then we predict you’ll spend a long time at the store, be incredibly inspired and perhaps walk out with a shopping bag or two! A portion of all proceeds from the Big Apple Tweed Rides benefit charity.